This species is very common from East Africa to Tahiti in the Pacific. It is grown as an ornamental and for medicinal use. 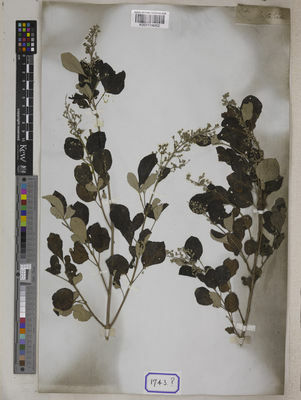 Shrub or small tree to 6.5 m. or some varieties procumbent or creeping and rooting at the nodes, mostly much branched below with slender stems; bark brown, smooth; young branches densely pubescent with greyish hairs. Leaves opposite, 1–5-foliolate; leaflets oblong-elliptic or obovate to oblanceolate or sometimes almost round, 1.5–7 cm. long, 0.8–4 cm. wide, obtuse, emarginate or rounded to acute or acuminate at the apex, cuneate to attenuate or rarely rounded at the base, entire or in one variety 2–3-sect, puberulous or glabrescent and ± gland-dotted above, tomentose to densely velvety pubescent beneath; petioles 0.6–3.3 cm. long; petiolules 0.1–2 cm. long. Inflorescences terminal and axillary in upper leaf-axils, much branched panicles of many-flowered cymes 3–23 cm. long, 2–4 cm. wide; peduncles 1–5 cm. long together with the rhachis grey-pubescent; cymes short, 0.4–1.5 cm. long; pedicels ± 1 mm. long; main bracts leaf-like; bracteoles linear, 1–3 mm. long. Calyx 4–5 mm. long, 2.5–3.5 mm. wide with acute or blunt teeth, densely white tomentose outside. Corolla blue, lavender or purple, sometimes pale, puberulous outside; tube 1–1.3 cm. long, limb 2-lipped, the lower up to 6 mm. long. Fruits yellow or reddish turning blue or black, globose or ovoid, about 5 mm. long and wide, the calycine cup 5 mm. long and wide, pubescent outside. Simpleleaf chastetree is very common from East Africa to Tahiti in the Pacific, where it is grown as an ornamental and for medicinal use. 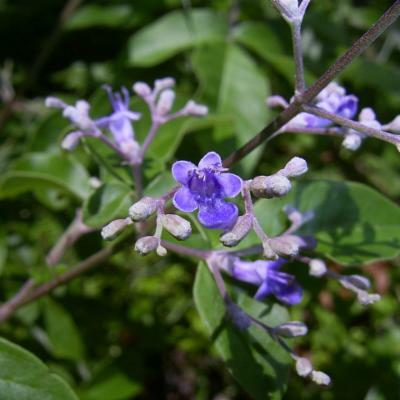 Vitex trifolia is widespread from North Australia east to Tahiti and north via Indonesia and the Philippines to China, India and Sri Lanka. Also reported from East Africa and introduced on many Pacific islands in the Central Pacific and Hawaii. 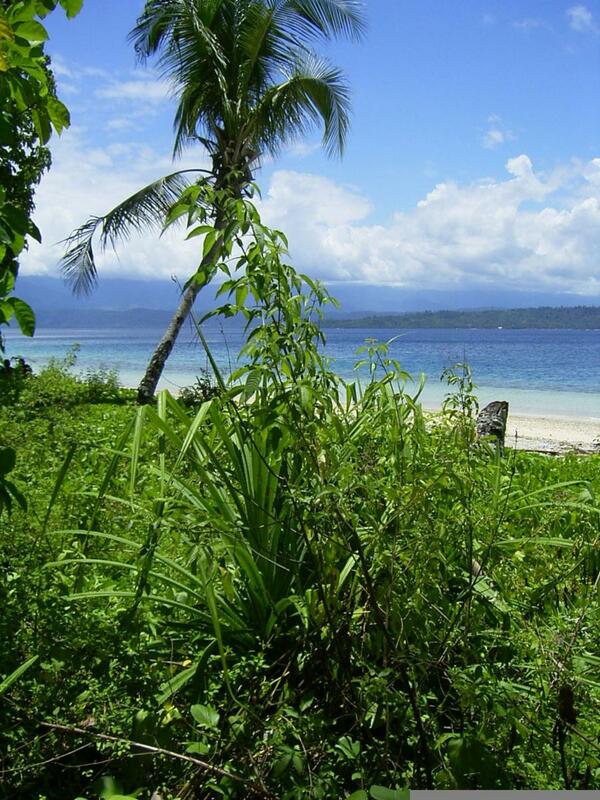 Simpleleaf chastetree grows on sand, coral, pumice gravel or shale. It is occasionally found in clay over limestone but this is rare. 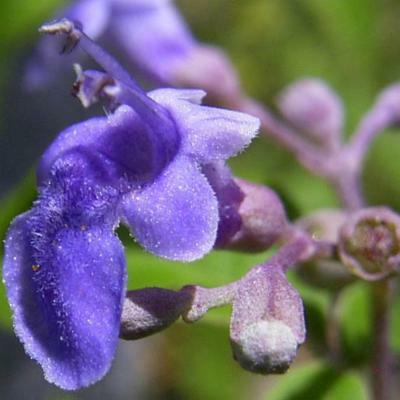 It also grows on beaches and along the inland edge of mangrove swamps, in grasslands and in forest and secondary vegetations. It is often found near watercourses. 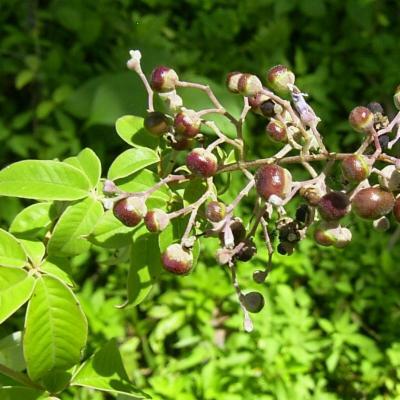 Overview: Vitex trifolia is a small tree or shrub up to 8 m tall. It has a smooth light grey to brown bark. Leaves: The leaves consist of 3 or 5 smaller leaflets which are all connected at one point (like the fingers of a hand) and are elliptic and between 3 and 12 cm long. The underside is covered with white hairs. Flowers: The purple to blue flowers consist of a tube with five lobes; the central lobe is bigger than the others. The four stamens greatly exceed the corolla tube. Fruits: The fleshy globose fruits are black when mature and up to 7 mm in diameter. Simpleleaf chastetree is grown as an ornamental. Anecdotal reports suggest it is used for women's health care throughout its range. Vitex trifolia grow well on exposed coastal sand dunes. It likes moist, fertile, well-drained soils. Water well in the summer and avoid the extremes of soil moisture, neither drought nor water logging. If propagating seeds, sow freshly collected seed in a mix of sand and coir. If propagating by cuttings, take them when the plants are not in flower or fruit (apical cuttings with at least two nodes). Cuttings should be rooted in a well-drained rooting medium such as perlite and coir under mist. 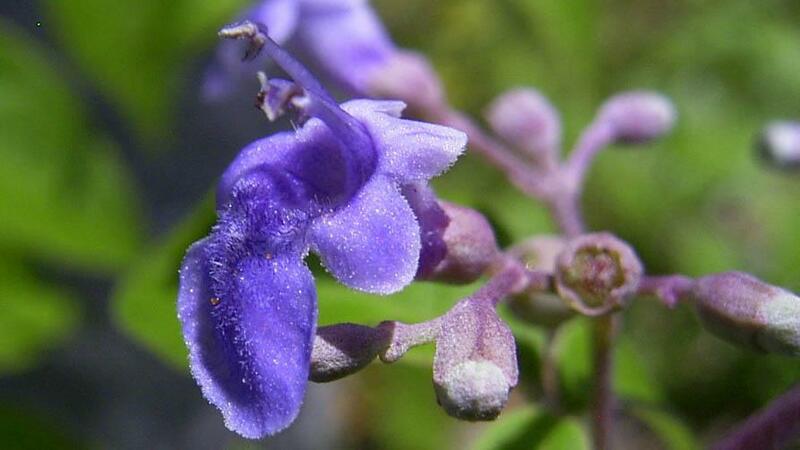 Grows on sand, coral, pumice gravel or shale. Fruit a drupe, up to 4 cm long and 3.5 cm wide but usually smaller, ellipsoid obovoid or globose, sitting on the enlarged calyx, sometimes edible. Hammel, B.E., Grayum, M.H., Herrera, C. & Zamora, N. (eds.) (2015). Manual de Plantas de Costa Rica. Volumen VIII. Dicotyledóneas (Sabiaceae-Zygophyllaceae) Monographs in Systematic Botany from the Missouri Botanical Garden 131: 1-657.
de Kok, R.P.J. (2007). 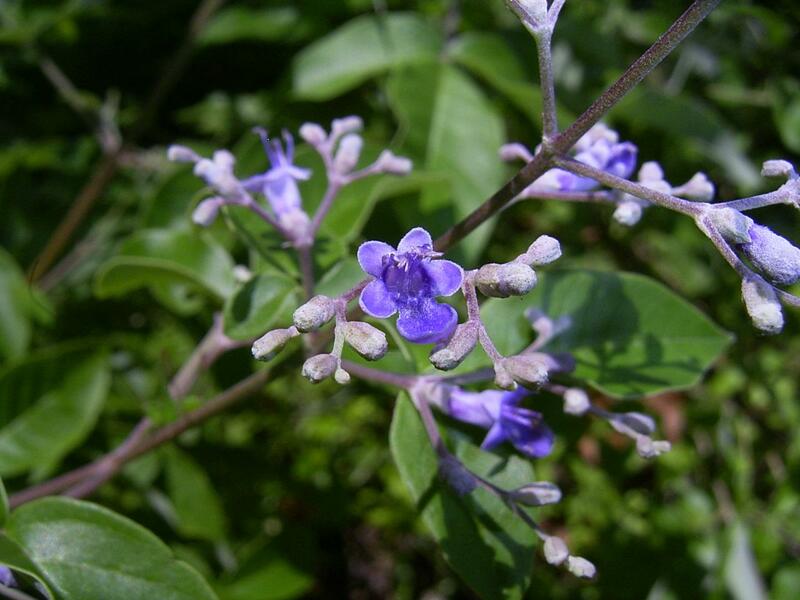 The genus Vitex L. (Lamiaceae) in New Guinea and the South Pacific islands Kew Bulletin 62: 587-603. Friedmann, F. (1994). Flore des Seychelles Dicotylédones: 1-663. ORSTOM éditions. de Kok, R.P.J. (2007). 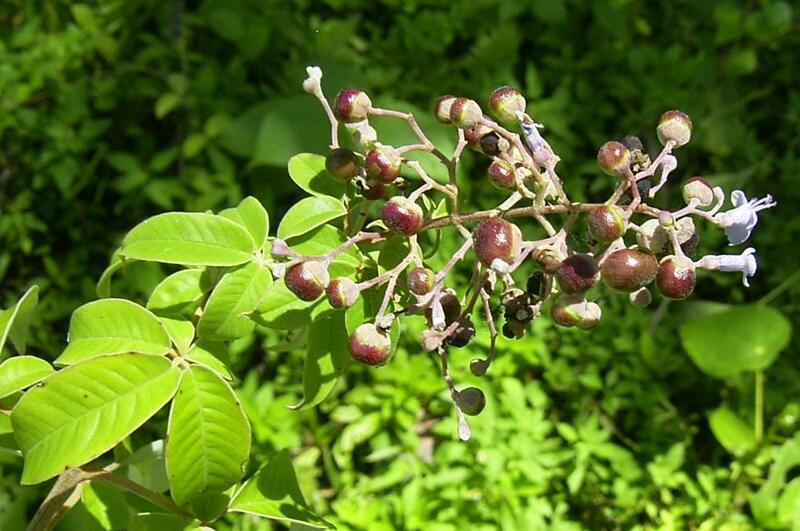 The genus Vitex L. in New Guinea and the South Pacific Islands. Kew Bull. 62: 587-603. Mabberley, D.J. & de Kok, R.P.J. (2004). Labiatae. In: P. Morat & H.S. Mackee, Flore de la Nouvelle-Calédonie et Dépendances, vol. 25: 20-141. Wagner, W.L., Herbst, D.R. & Sohmer, S.H. (1999). Manual of the Flowering Plants of Hawai’i 2nd Edn, vol 2. Bishop Museum, Honolulu. Sunarno, B. (1995). Vitex L. In: Lemmens, R.H.M.J., Soerianegara, I., Wong, W. C. (eds). 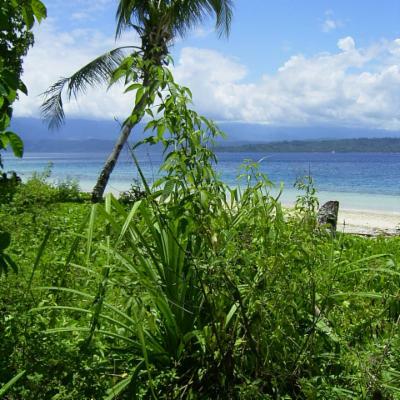 Plant Resources of South-East Asia. Timber trees: Minor Commercial Timbers. Backhuys, Leiden. 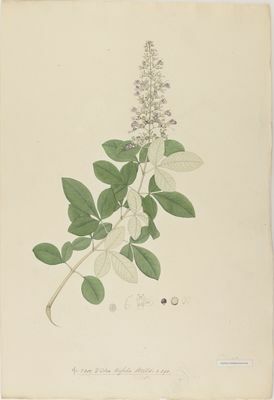 Singhakumara, The Biology of Vitex in Sri Lanka, D.Phil. thesis, Oxford (unpublished). Moldenke in Rev. Fl. Ceylon 4: 378 (1983). Alston in Handb. Fl. Ceylon 6: 232 (1931). Trimen, Handb. Fl. Ceylon 3: 356 (1895). C.B. Cl. in Fl. Brit India 4: 583 (1885). L., Sp. Pl. : 638 (1753), as “trifoliis”.